Because the curriculum is individualized, your child can work at their own pace while participating in a multi-age classroom. A younger child learns by observing the behavior and activities of the older children. An older child gains self-confidence, leadership skills and responsibility by setting an example for her younger friends. A child will be introduced to a broad range of concepts and activities in individual and small group lessons. The real learning, however, occurs through independent activity by choosing to explore it, repeat it and perfect it. Our AMS certified teachers choose this career because of their passion for teaching and dedication to Montessori. Their depth of training and knowledge is amplified by the joyful and deep relationship they develop with your child throughout their journey together. 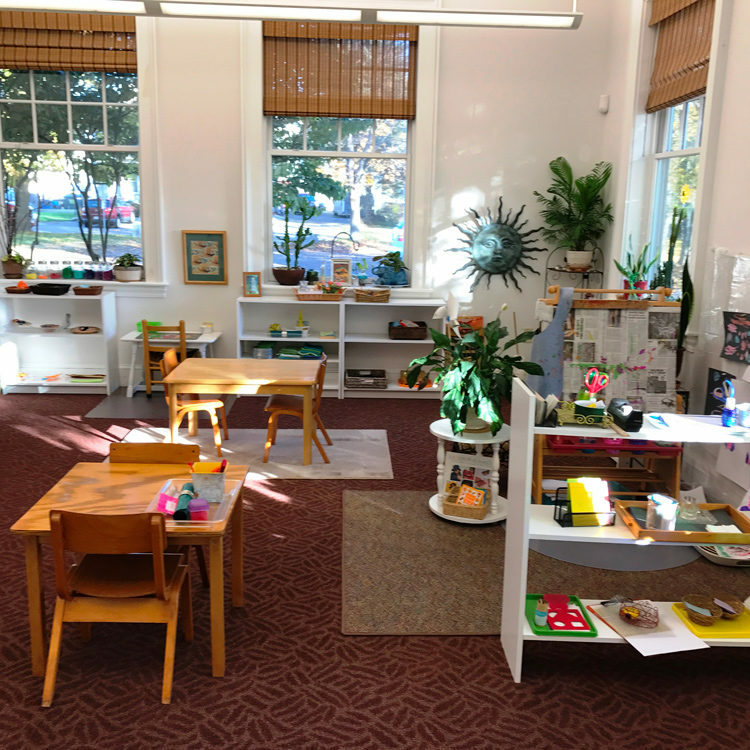 Unlike conventional classrooms where all children are expected to pay close attention to the teacher, our program does the opposite – the teacher is trained to closely observe your child’s interests, tendencies and needs. You won’t see the teacher standing at the front of the classroom, but rather down at your child’s level, engaged with them or a small group. 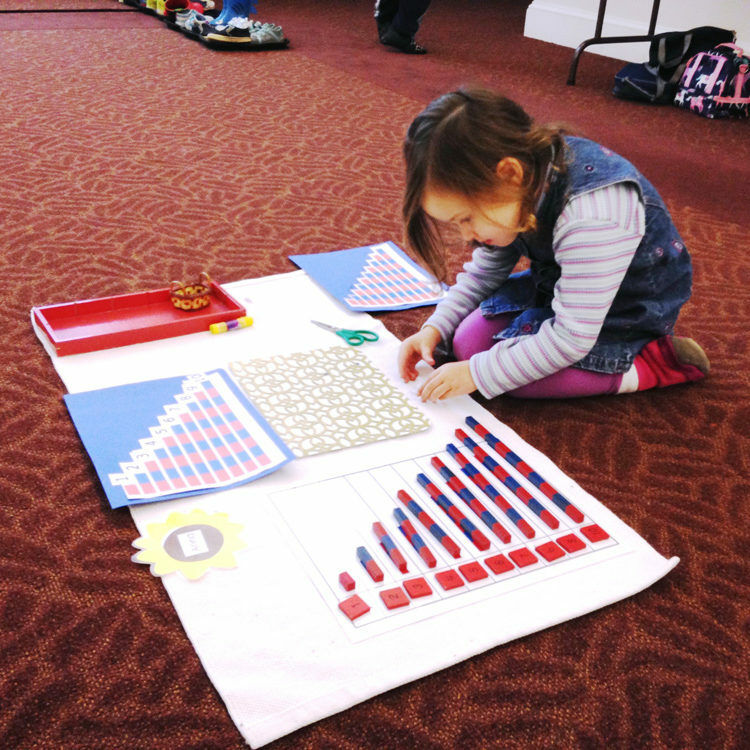 The scientifically designed Montessori materials help your child learn through hands-on use and exploration. Through continued use, they develop a concrete understanding of abstract concepts, such as mathematics, language, science and cultural studies, providing a solid foundation for learning into the future.